Puns—much like physical beauty—are often transient, but in the internet’s new “Gyllenhall,” both last forever. 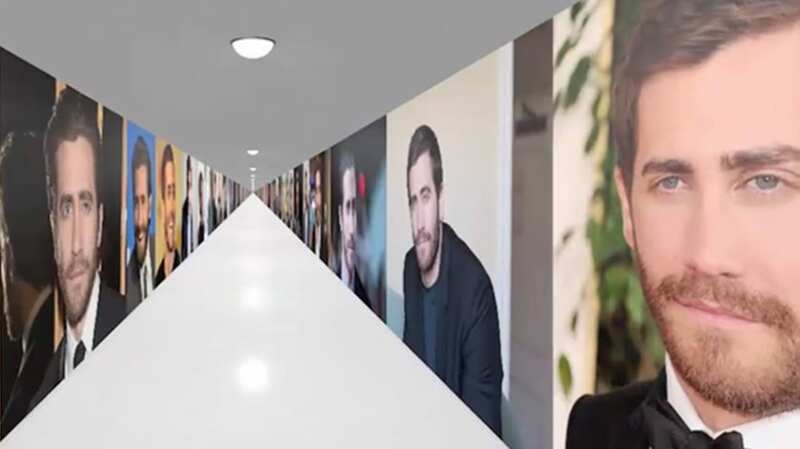 The virtual gallery features an endless, scrolling display of dreamy head shots of actor Jake Gyllenhaal. Spotted by The Verge, the whimsical website really has no point, other than to make your work breaks more fun, your pun-hating friends wince, and your eyes happy. (For a few minutes, at least. They might start hurting after that.) Turn up your computer's volume, and you’ll even hear Jake’s classic Brokeback Mountain (2005) line—the impassioned “I wish I knew how to quit you”—echo on a continuous loop. Pro tip: To quit Jake, just exit the browser. The site was co-created by Paul Feldmann, a digital artist, and writer Zack Johnson. Their personal websites feature an assortment of silly projects, but none seem as ripe for a sequel as the Gyllenhall. Will the pun-loving duo make an Arsenio Hall next? What about a tribute to the 1977 Woody Allen film Annie Hall, or Daryl Hall from Hall & Oates? Only time will tell. Until then, feel free to glut yourself on a decent pun and a pretty actor by checking out the Gyllenhall yourself.